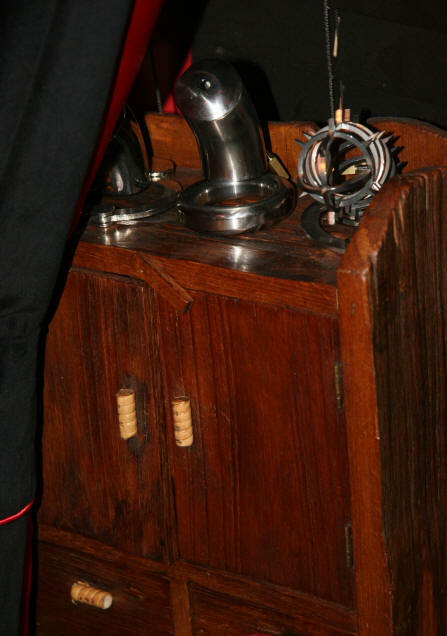 The chastity cupboard contains a range of steel and acrylic devices including the CB 6000 CB 3000 and the Kali's teeth device and other steel chastity devices. Many couples may have wondered what it might be like to use these items, well here is a chance to try and see what chastity might feel like for an hour or two! !